I made these loaves for the #BreadBakers' November event. 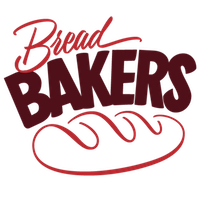 See the bottom of this post for more information about this great bread baking group. Our hostess this month is Holly of A Baker's House. Thanks, Holly! This was my first month making and using a biga, also called a poolish. I used part of the biga in my Crusty Pumpkin Rosemary Bread for #twelveloaves last week. I'm using another part of the biga for this delicious creation. Making a biga takes a little bit longer, but made for a softer crumb. It's certainly worth the effort! Whisk all the ingredients together and allow it to stand for at room temperature for between 6 and 36 hours; mine fermented for over 24 hours. The biga will begin to ferment, getting gassy and bubbly. You'll use 1-1/2 C biga for this bread recipe. The remaining biga can be stored in the fridge, covered. You can keep the biga alive by discarding some of the biga every couple of days, and adding an equal amount of water and bread flour and giving it a firm stir. In a large mixing bowl, mix together all of the ingredients except for the salt and caraway seeds. Stir with a wooden spoon until the dough comes together. Turn the dough onto a floured surface and knead until the dough is smooth and elastic. It took me about 8 minutes. Place the dough in a bowl, drizzle with olive oil, cover the bowl with a towel, and let the dough to rest for an hour. After an hour, divide the dough into thirds. Roll the dough into a cylinder, tucking the ends of the dough neatly underneath to form a short, chubby baguette. Line a baking sheet with parchment paper and transfer the log of dough to the sheet. Sprinkle the top with salt and caraway seeds. Space the loaves so they have room to rise. Let bread rise for 2 to 3 hours. After three hours, the dough should be nicely puffed but not quite doubled in size. Preheat the oven to 425 degrees F. Slash diagonal cuts into the top of your bread. Drizzle with olive oil. Place a pan of water on the bottom rack. Bake the bread for about 50 minutes. The crust should be browned and crisp. When you pick up the loaf, give it a thump on the bottom. It should sound hollow. Allow the bread to cool before slicing and tasting. It did! 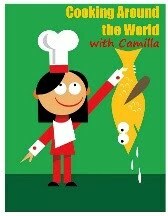 Thanks for stopping by, Carola. Brilliant way to use marinara sauce! 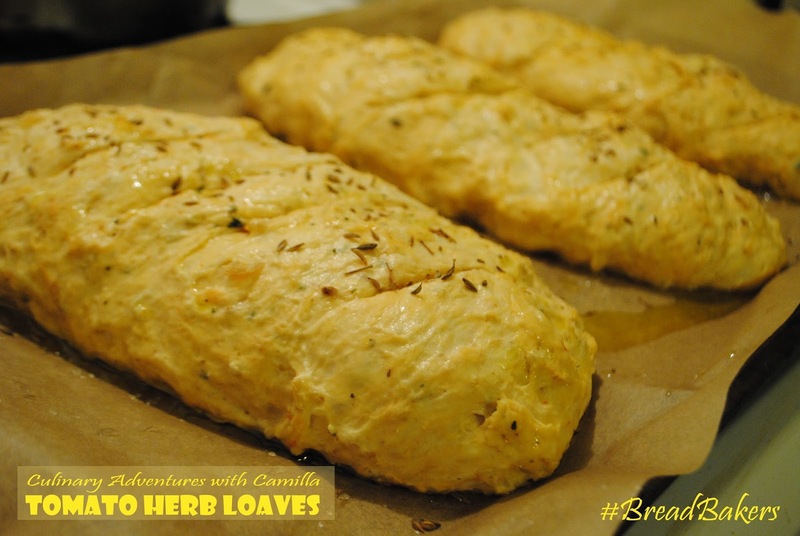 Such a nice savory bread and something different to serve for Thanksgiving. Thanks, Renee. It added a little something extra to the flavor. I loved it. I do preferments from time to time I never knew that bigas lead to softer crumbs. Good to remember. That's how it seems to me. Let me know what you think. Wow! These are lovely! Must be so delicious. Thanks, Sophia. Yes, they were delicious. I love the tomato herb bread that Panera serves and think it is great to make at home-- your loaves turned out really well! Thanks for hosting, Holly. These loaves were delicious. Can't wait to make them again. 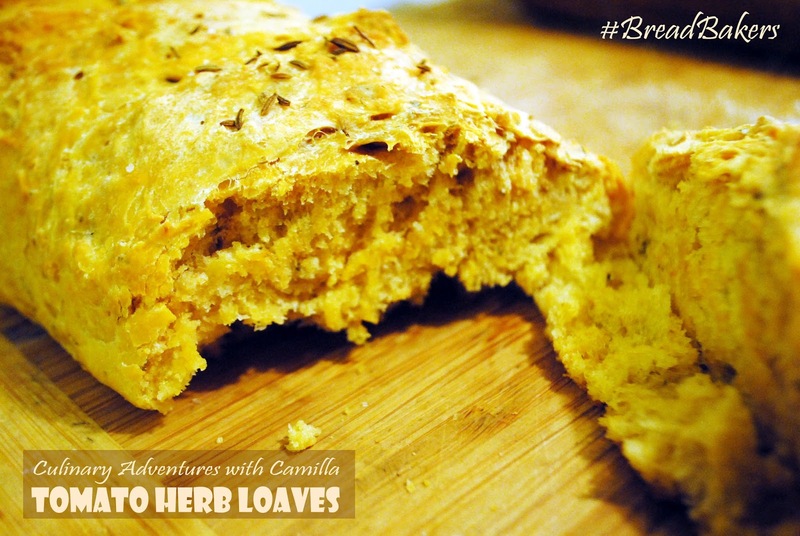 Tomato herb is a great idea for bread! How interesting using marinara in the bread. I'm definitely trying this! Great! let me know how it goes. I loved it! What gorgeous loaves, Camilla! 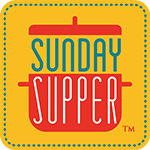 I love the flavors and the marinara sauce makes up some of your liquid. I've never made or used a biga but I am thinking I may add this to my New Year's resolution of new things to try. Thanks, Stacy. It was delicious. I absolutely LOVE the idea of using marinara sauce (yum) in a bread. I'm inspired! Thanks for sharing this great idea–definitely a must-try. Never heard of biga and I love that I am learning!! This bread is inspirational!! Love the marinara!! 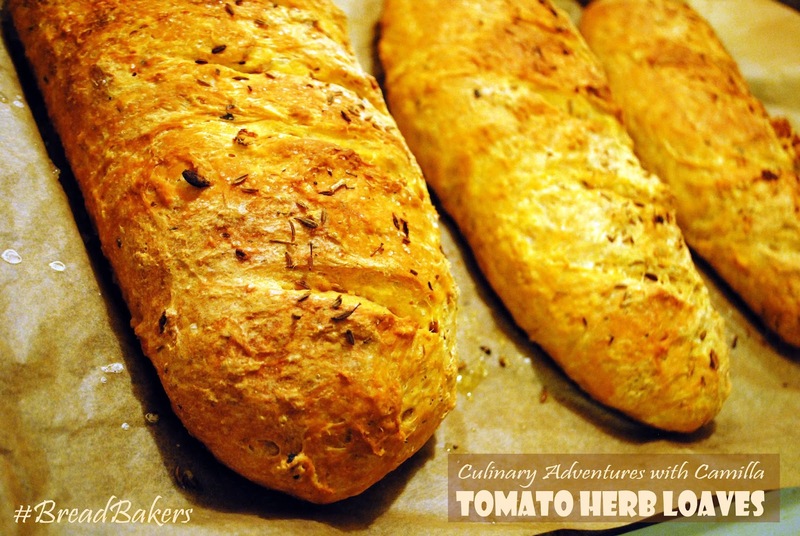 I love tomato and herb breads, these look great! Lovely use of marinara sauce. Thanks for a great recipe.